KBS World Radio is Korea’s flagship public international broadcaster. Its maiden transmission was aired in a 15-minute English broadcast on August 15th, 1953, under the station name "The Voice of Free Korea". KBS WORLD Radio now broadcasts in Korean, Japanese, French, Russian, Chinese, Spanish, Indonesian, Arabic, Vietnamese and German. The station was renamed Radio Korea in April 1973, Radio Korea International in August 1994 and KBS World Radio in March 2005 in a bid to better reflect the station's increasingly globalized mission. By providing a variety of accurate and up-to-date programs and news on Korea's politics, economy, society, culture and traditions to our audience and netizens, KBS and KBS WORLD Radio seek to strengthen friendly ties and an understanding of Korea among people in the global community. In addition, we provide a bridge between Korea and the some seven million overseas Koreans who are missed by their loved ones back home. KBS WORLD Radio programs are carefully designed for an international audience - from accurate and up to date news to programs that portray the full spectrum of emotions and instill pride in Koreans all over the world. 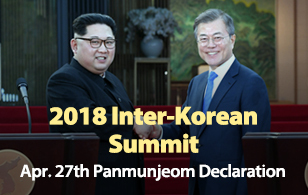 Spearheading efforts for peace and a unified Korean peninsula through in-depth programs that address the relationship between the two Koreas. Broadening the understanding of Korea through programs that introduce its tradition, culture and natural beauty. Publicizing Korea to the world through our music. Conveying real experiences in and around the country through interviews with foreign visitors to Korea. Initiating active participation with the audience to achieve an interactive program model. In order to provide the best possible reception to our audience, KBS WORLD Radio transmits directly from domestic facilities, as well as through program exchange with Canada and the U.K. and through relays to Europe, the Americas, Asia, the Middle East and Africa. KBS World Radio is advancing into a wider variety of media outlets. Beginning in August 2003, four of our services (English, Russian, French and German)started serving listeners in Europe, North America, Middle East and Africa through the World Radio Network for 30 minutes a day. Our 30-minute Arabic service also joined the WRN platform beginning in July of 2006. KBS World Radio's Russian and Indonesian language programming is now available on local AM and FM frequencies in Russia, Indonesia and Argentina. In September 2006, the Russian language service started broadcasting on 738 kHz AM in Moscow. In March 2007, the Indonesian service began programming on 102.6 MHz, Camajaya FM, in Jakarta. And the Spanish language service is brought to our audience in Argentina on Radio Palermo 94.7 MHz FM in Buenos Aires as of January 2011. The Korean language service is available on a number of Korean expatriate radio stations in the United States, and Australia. Since the termination of the transmission exchange agreements with Radio Canada International (RCI) in June 2012 and with BBC World Service in March 2013, KBS World Radio has leased airtime from World Radio Network (WRN) and Babcock Communications Ltd to improve the reception conditions for its shortwave broadcast of the German, French, Spanish, Russian and Korean language services. KBS World Radio has been working to improve and expand our Internet service. Since its inception in 1997, the KBS World Radio Internet homepage has provided the world's netizens with a variety of audio and video contents in 11 different languages. Our programming is available on two real audio stream channels around the clock, and music lovers can enjoy the latest K-pop hits any time of day through our Music player. Our site offers an endless array of rich information about Korea's history, culture, tourism and more. We continually renew our website to maximize interaction with visitors all around the world. We're expanding and strengthening our blogs, UCC contents, podcasts, and message boards to meet the ever-increasing demands for those multi-media services. We are actively embracing new digital media platforms. Our Mobile Website provides you with easier and faster access to our latest programs in 11 different languages on your mobile devices. And our Facebook Page and Twitter account help you stay better connected with us online. KBS World Radio is breaking down the barriers between various media formats. We will continue to provide more and more multi-media contents on new online platforms to stay at the forefront of the rapidly evolving broadcast industry. Radio Korea International renamed KBS World Radio. Transmission exchange agreement between KBS and Radio Canada International (RCI) for shortwave terminated. Leasing of shortwave relay transmission of the Spanish service to South America via Montsinéry, French Guiana, commensed with TDF. Transmission exchange agreement between KBS and BBC World Service for shortwave terminated. Leasing of shortwave relay transmission to Europe via Wooferton, UK for the German, French, Russian, Korean services commensed. Leasing of shortwave relay transmission of the Spanish service to South America via Montsinéry, French Guiana, terminated with TDF. Leasing of shortwave relay transmission of the Spanish service to South America via South Carolina, USA, commensed with WRN.